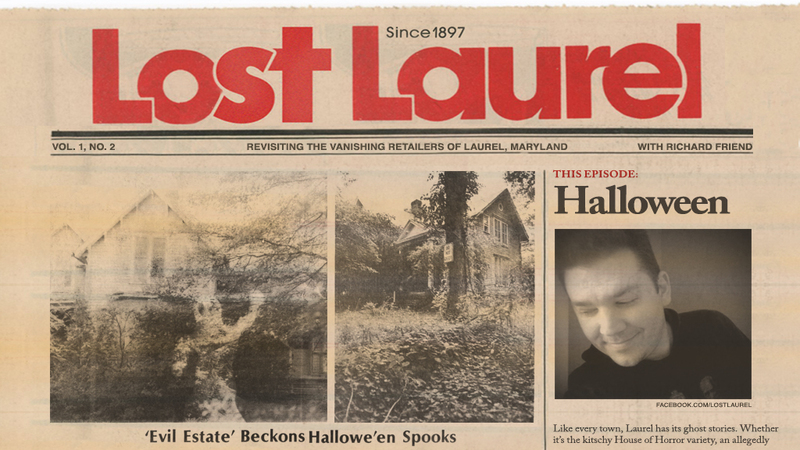 Laurel Shopping Center… The Theme Song? Just so you know, you’ll be hearing me talk about “The Berman Collection” quite a bit in the coming months. 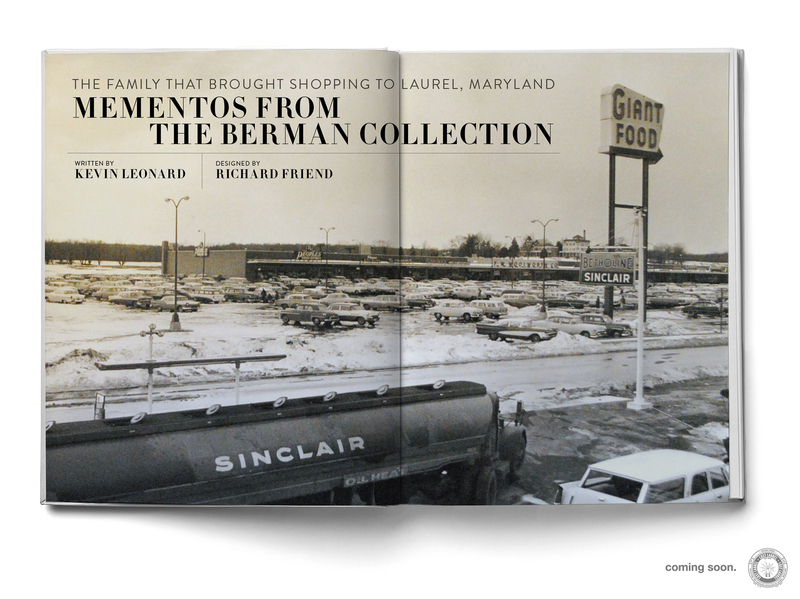 The Berman Collection is a treasure trove of photographs, newspaper clippings, and other artifacts from the family of Laurel Shopping Center founders Melvin and Wolford Berman. 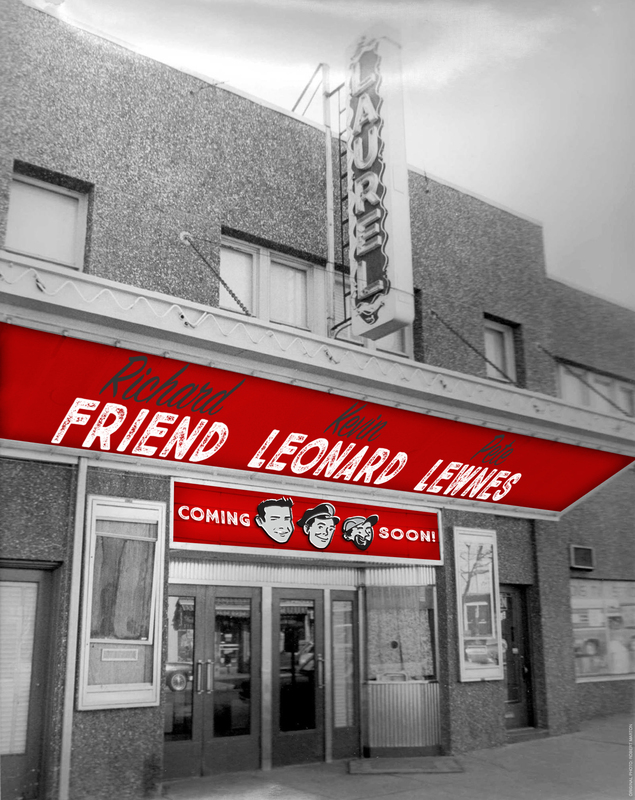 While researching the early days of Laurel Shopping Center for a recent 3-part Laurel Leader column, historian Kevin Leonard met with Melvin’s son, Dennis Berman—now General Partner of all Berman Enterprises entities. Denny proved not only to be a wonderful source of information, but keenly interested in helping us document the history of the groundbreaking shopping center his family built in 1956, which quite literally put Laurel on the map—at least in the eyes of retailers, shoppers, and those not solely interested in horse racing (which, to be fair, put Laurel on the map several decades earlier). 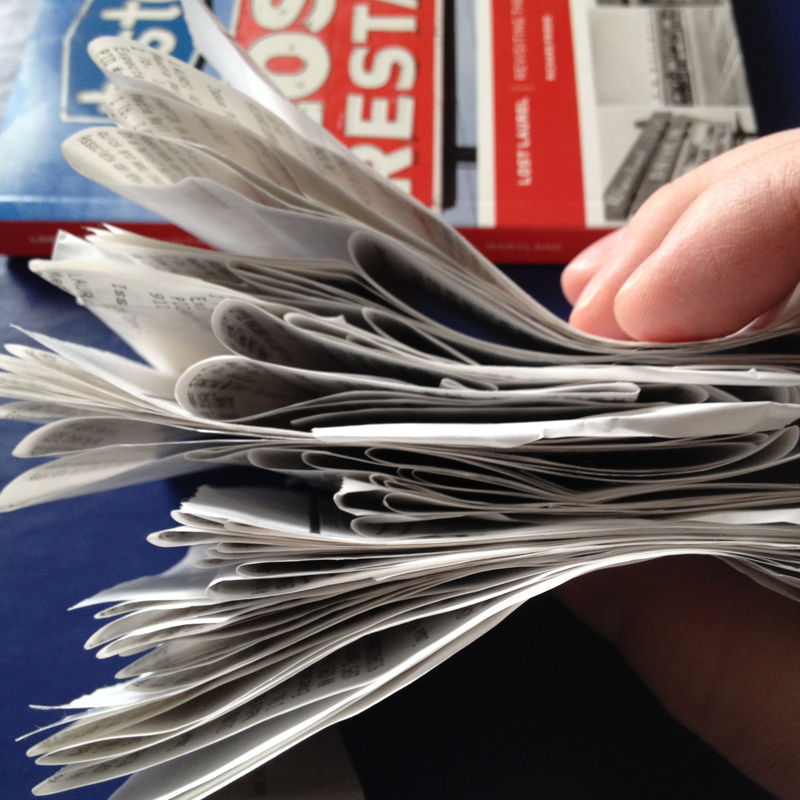 With incredible generosity, Denny Berman decided to donate a massive number of materials to the Laurel Historical Society, including a large scrapbook specifically documenting every phase of the “Fifteen Fabulous Days” campaign that comprised the November 1956 grand opening of Laurel Shopping Center. If you’re interested in such history as I am, trust me when I tell you that it’s the Holy Grail. I’ve already shared a few photos on the Lost Laurel Facebook page, but that’s not even the tip of the iceberg. Kevin and I have been slowly but surely photographing and scanning every inch of the collection before it goes into the Laurel Museum—we’re working on a book that will showcase the material and the Berman family’s contribution to Laurel. What’s interesting about it? According to a description card, the sleeve originally held a recording (no known copies exist) of a Laurel Shopping Center theme song—which played on speakers throughout the center, on TV and radio commercials… even from a helicopter. Now, I told you Denny Berman is a wonderful source of information. He’s also a great sport. I had the pleasure of meeting him this week with Kevin, and when I brought up the theme song topic, he not only remembered the lyrics—he agreed to sing it for me. 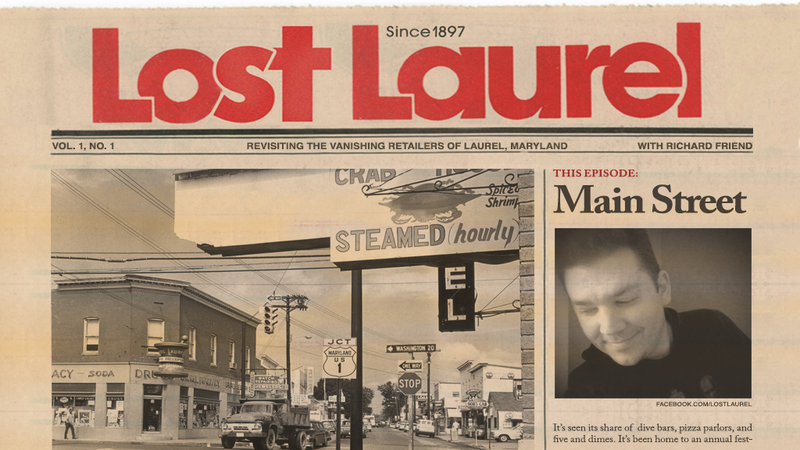 This will be part of the next episode of the Lost Laurel TV show, which is actually a 2-part series on the history of Laurel Shopping Center. It features many of the photos from The Berman Collection, and Denny himself plans to join us on location for the second part, which I’m really looking forward to filming with Laurel TV in early December. With the new Towne Centre at Laurel planning its official grand opening this Saturday (despite having been open for quite some time already) on the site of the former Laurel Centre Mall, it’s the perfect time to take a closer look at the history of the mall that started it all.